Founded in 2011, SheerID is redefining how enterprises create instant trust in a digital world. 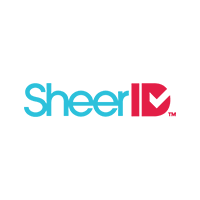 The SheerID digital verification platform instantly verifies the identity of any individual or business to ensure the integrity of exclusive offers and authenticated experiences. Our solutions use authoritative data sources to verify credentials in real-time within an organization’s brand experience. All of these components enable enterprises to differentiate with exclusive offers and experiences that drive loyalty, reduce churn and increase revenue over the lifetime of the customer.